Tal Frankfurt is a serial Salesforce user group leader and an inaugural Salesforce MVP. He is the Founder and CEO of both Cloud for Good and CRM Market. With the influx of both Salesforce projects and consultants, it sometimes feels like the process of choosing a Salesforce consultant is as big a project as the actual implementation itself. Whether you are looking to implement Salesforce for the first time or if you need to optimize your existing Salesforce instance, it is hard to find a trusted partner who knows what they are doing and is also a good fit for your organization. Over the past 6 years I have spoken with thousands of organizations that want to implement Salesforce. Based on my conversations with these organizations, I’ve created the list of questions below to help you evaluate the suitability of a Salesforce consultancy. Since your situation and requirements may change, most of these questions don’t have “right” or “wrong” answers. Use these questions as a guide to see how closely the consultant fits your culture and requirements. I recently shared on the CRM Market blog that a Salesforce certification is the easiest way to validate that your consultant has the Salesforce knowledge and experience necessary to handle your implementation. It is also a great way to make sure that the individual is up-to-date on the most recent Salesforce releases. Three times a year (winter, spring, and summer), Salesforce releases new system feature updates. In accordance with these updates, all certified professionals are required to maintain their certification by taking a maintenance exam every release cycle. How many similar projects have they completed? How many projects have they delivered overall? What is the size of their average client? How responsive is the consultant? 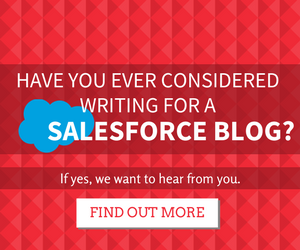 How knowledgeable is the consultant on Salesforce and your vertical? Would the customer recommend work with this consultant again? 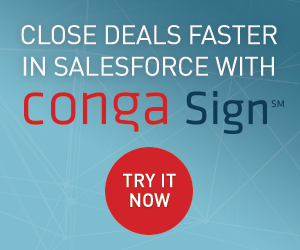 Are you focused on Salesforce? Salesforce is constantly changing and evolving. You want to work with a consultant who knows Salesforce and is focused on it. We sometimes take the below questions for granted but you should know that some of the very large consulting firms have a very small Salesforce practice. What percentage of your projects are Salesforce projects? How long have you been a Salesforce consultant? How long have you had a Salesforce practice focused on my specific vertical? Trailhead is a great interactive learning tool (provided for free) that will take you through the Salesforce Platform. Every skill set is covered – whether you are a developer or a system administrator, Trailhead includes tools to test your knowledge of the platform. Completing a Trailhead module does not make someone an expert in that specific area. However, one of the reasons we added Trailhead badges to the CRM Market consultant profiles is because it does indicate the individual took time to learn about a specific topic and that Trailhead assessed an individual’s success/completion. Are you an independent consultant or part of a firm? How would you handle tasks that you are not experienced with? For example, if your consultant is not a developer how would they handle the need for custom code? Do you have any major events during the timeline of our implementation that would prevent you from focusing on our project? Are you a Salesforce SI partner? Is your firm on the AppExchange? How many certifications do you have on the AppExchange? What is the CSAT (Customer Satisfaction Score) on the AppExchange? How many developers do you have? How many project managers? You can use the AppExchange Consulting section to verify some of these questions. The project’s scope of work should include the consultant’s implementation methodology. The project methodology might involve an agile or waterfall framework so you need to make sure that this approach will work best for your team and timeline. While I strongly believe that we live in an age where location is meaningless, I would recommend that you work with someone who is less than three time-zones away from you. I left this question for the end because the answer is obvious when there are multiple options of the same quality and one is less expensive. While it is absolutely not true that the expensive consultants deliver the best work, I would like to caution you to resist the lure of a bargain. Make sure you cover all the above questions before you make your decision and never make your decision just based on the price. Cloud for Good (www.cloud4good.com) is a Salesforce Foundation Strategic Partner that works with nonprofit and educational organizations to create and implement Salesforce solutions. 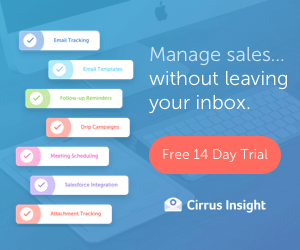 CRM Market (www.crmmarket.com) connects passionate Salesforce consultants with customers who need quality, affordable implementation services. One of the most important factors for me is cost. I didn’t see that listed here, any reason for that? Tal did actually mention this right at the bottom but did so for certain reasons. Great thoughts, Tal! Also a great perspective for someone (like me!) who may one day try to get into freelance consulting. My thoughts exactly Kristi! It’s good viewing this post from the other side of the coin and thinking about what you can actually do to be the perfect consultant. This is awesome sharing on how to choose Salesforce consultant, whether for initial implementation and enhancements. But, one thing may missed here about EQ and attitude. No matter how good is the skill, but attitude will make things very different. Completely agree Johan. Business always come down to how you connect to someone on a personal level. I’m just starting out as a consultant and wanted to know if you might have a list or questions to ask a client when you are trying to find out about their business. Thanks for your comment. I don’t have a list at present but I’ve written this idea down, as this is something I too struggled with when first getting into a consultant role. How long have you been in business? Are your staff full time employees or contractors? Please provide a breakdown if both. What is the rate of turnover for your company? I ask questions like this because one of the biggest dangers in hiring Salesforce (or other specialty) consultants, particularly when there’s a hot market for such work (as with Salesforce) is that your project will suffer big delays as key consultants move on to other opportunities and replacements have to be hired and then oriented. You particularly want to vet this with the reference checks. Another thing to clarify (particularly if you’re planning on doing a fair amount of custom development): what will post-project support look like? Will the developers that I work with be available to troubleshoot issues later on? If not, will I have a dedicated support person (who can learn my system) or luck of the draw? And what does that cost? Also, don’t settle for testimony that they’ve done work similar to what you need. Ask for examples – pictures or demos of work that they’ve done. Communication and project management are key. I’ve hired brilliant SF consultants who couldn’t meet a deadline to save their lives, then did very well for my org by replacing them. I’ve also hired some who, surprise! bill for an hour for every five minute phone call or email. Make sure that your consultants bill in 15 minute increments, and have a reputation (references) for staying on budget. how to enable chatter and lightning design system through apex code? Here’s the 26th question then – “How will you make sure my Org is well documented” To many consultants do a great job configuring Salesforce but the Salesforce Admin has no idea what was done so cannot continue to evolve for fear of breaking something. It starts with business analysis and documentation of the business processes through to the reasons for each customization. In my opinion, I don’t think that a SF certification proves that you know or not. I have colleagues who are certified and know less them I’m. There are many reasons for why a person didn’t try a certification – Price, time and so on. I’m not certified and was interviewed for a analyst position and got it. BUT, of course a SF certification is important. When determining on a Salesforce Consultant for your group there are three main areas in determining if the organization you’re talking with will be able to see the requirements of your group. When it comes to choosing the exact Salesforce Consultant for your mission, you will famine to discover Effective Correspondents, Information Authorities and Ground-breaking Resolution Workers. Great idea, it is really helpful while choosing the saleforce consultants for any business firms. Thanks for posting!